Moyes’ Makeshift Hammers Move One Point Closer To Survival In A Spirited Performance – But Reinforcements Are Still Badly Needed. Supporters of a certain age will remember Teletext (or CEEFAX) as their primary source of up to the minute football information. Page 324 of CEEFAX showed the Barclays Premiership league table over two pages and I can still recall one fan’s excitement in the aftermath an away win at Southampton in 1993/94 that West Ham had finally made it on to page one for first time that season. History repeated itself last night and no matter how temporary the position the Hammers have at last assumed the top ten position that their financial muscle should routinely guarantee. Two teams can theoretically leapfrog us tonight in the increasingly congested lower reaches of the table but it is good to carry the momentum into the upcoming fixtures against Brighton and Watford. Patched Up Squads – plus ça change! In the circumstances it was more a case of a point gained than two points dropped as the Hammers extended their unbeaten (league) sequence in 2018 to five matches. As mentioned in our Palace match preview this is the longest unbeaten start to a calendar year since 1974 when the Hammers embarked on a ten match spree, before finally finishing one point above the relegation places – a season where Billy Bonds finished as West Ham’s leading scorer. My memory of that time is also of patched up teams filled with played out of position defenders as the lineup from one of those games illustrates (a 3-0 win over Chelsea courtesy of a Bonds hat-trick): Day, Coleman, Lampard, Bonds, Taylor, McGiven, Holland, Paddon, McDowell, Brooking, Best. I’m sure every team has its bad luck with runs of injuries but does any other top flight club so regularly get into such a mess? Flashbacks to Ian Perace at centre-forward and Les Sealey as an outfield substitute spring to mind. A point apiece was a fair reflection of the game. Defensively we should have done better with the Palace goal as Aaron Cresswell had strayed too far upfield in a situation where we did not have good possession and Declan Rice was slow to close down the advancing Townshend. Benteke is another of those players who is generally woeful but too often experiences a productive ninety minutes against the Hammers. It was great to see Tomka getting an assist with the equaliser; a definite penalty, calmly dispatched by a cool Mark Noble. There was also excellent work in the build-up also from Joao Mario who had a more than encouraging league debut. It will be fascinating to see how Mario and Lanzini will be paired together in the same side. Given the shortage of numbers it was a brave (and correct) decision by David Moyes to drop Michail Antonio from the match-day squad for failing to turn up on time. It is another indication that Moyes is bringing greater professionalism and discipline to the club after the happy go lucky days of Slaven Bilic. It has been reported that Antonio apologised and that the incident was now closed but it is difficult to understand what is going on with the player. He can play a crucial role over the next few weeks in the continued absence of Arnautovic and Lanzini as West Ham face important winnable games against fellow stragglers and strugglers. Let’s hope he can get his body and mind together and make a useful contribution in picking up the points that are required to continue the climb away from trouble. The final day of the transfer window has arrived with everyone at West Ham allegedly working hard to bring in new players. Even as the day breaks new names (such as Islam Slimani and Ibrahim Amadou) are added to the list of targets (already including the likes of Pelle, Smolov, Cairney, Schneiderlin and Dendoncker) which continues to grow at a time when you would hope it is being narrowed down to known players and realistic proportions. Those involved agree that a transfer is a complex business with issues related to valuations, wages, fees, loans versus purchases, buy-out clauses, sell-on clauses, payment terms, medicals and lucky squad numbers to be resolved. Past performance does not instil a tremendous level of confidence that our crack negotiating team will manage to get more than one (if any) deal over the line in time. As usual I will disregard common sense and the lessons of history in the improbable hope that a rabbit or two can be pulled out of the hat at the last minute. Don’t go to bed! With a patched up squad and lacking influential players will Moyes be happy to share the points against Palace? Or will Super Mario make an immediate impact on the Premier League? If only Michail Antonio had taken the ball to the corner flag or launched it into Sainsbury’s car park rather than chipping it back to the Palace keeper then West Ham might have found theselves sitting in ninth place, above Everton, and seemingly out of the relegation dogfight, which according to most observers comprises only eleven teams. Then again, that sliding doors moment, may have seen the Hammers remain under the stewardship of Slaven Bilic and his Carry-On-Coaching team with the unimaginable dire consequences that such a situation might have created. Of all the managerial changes that have taken place in the Premier League so far this season, it is in the boardrooms of the London Stadium and Selhurst Park where the Directors will be most effusively slapping themselves on the back, oblivious to their own poor decision making that led to the respective crises in the first place. Yet with this season proving that our league is the most competitive in the world (at least as far as relegation places are concerned) the mid-table standing that the two clubs currently enjoy offers little in the way of real comfort. West Ham will be looking to forget the inconvenience of having to go through the motions of a highly predictable FA Cup defeat by Wigan while Palace will hope to recover from their dreadful defensive display at the Emirates. Why the schedulers saw fit to arrange so many games in January (and interfere with the far more newsworthy transfer window) is a mystery but the Hammers have the opportunity to start a calendar year unbeaten in their first five league games for the first time since 1974; a run that, back then, eventually extended to ten games either side of a FA Cup defeat to Hereford United. The last twelve competitive games against Palace show four apiece as far as wins, draws and defeats are concerned. In the last twelve encounters on home turf (which date back to 1972) West Ham have won six and lost three. If a low key and unspectacular exit from the cup was the unspoken objective then there must be huge disappointment that West Ham came away from the game with another serious injury and a long term suspension. The injury list is a long one, and that it includes bothh Marko Arnautovic and Manuel Lanzini means that any offensive threat will be at a premium. It is probable that at least a few of the walking wounded out of Mark Noble, Cheikhou Kouyate, Winston Reid, Andre Ayew and Michail Antonio will be available for tonight’s clash. In the circumstances there must be a temptation to rush Antonio back but past performance suggests that this would be a massive risk. Almost certainly there will be a first league start for João Mário Naval da Costa Eduardo in midfield and there doesn’t seem any viable alternative to using Javier Hernandez once more as lone striker, despite all the evidence that it is not a role that he is anywhere close to accomplished in. Palace are not without their own selection problems with Roy Hodgson claiming that he only has eighteen players to choose from. There is a high probability of their still being one Sakho out on the pitch tonight as the Eagles welcome back defender Mamadou; while Cabaye and Ward are also back in contention for a place. Loftus-Cheek is missing and so it will be Zaha (and his tendency to go off-balance in the penalty area) who carries the greatest threat to the Hammer’s unbeaten run. Anyone looking for an omen of a lucky referee will be disappointed to see Neil Swarbrick picking up the match-ball when the teams walk out tonight. Swarbrick was previously in charge of heavy defeats by Newcastle and Liverpool this season. In seventeen outings during 2017/18, Swarbrick has forty-five yellow cards to his name but remains a red card virgin. Lawro returns to his 1-1 safety net for this clash while Merson expects a 1-2 away victory. I can see pragmatism ruling the day in this one with both teams adopting a safety first approach that lacks in any real adventure. My own sense is also a draw and it would be no surprise should it remain a goalless one. First Class Players Wanted. All Positions. West Ham once again look set to disappoint as the annual January transfer window frenzy draws to a close. Is the squad strong enough to survive? When the short lived Thames AFC (who played their games at West Ham Stadium in Custom House) were elected to the Football League in 1930 their Directors placed an advertisement in the newspaper in the hope of attracting players of sufficient quality to preserve their new found status. In the event the ploy was an unsuccessful one and Thames lasted only two seasons in the professional game before being wound up. With just a few days remaining in this year’s January transfer window and the context of an ever increasing injury list, a wafer thin squad in terms of quality and a long term suspension, then maybe it is time for the current Board to consider a similar approach. Perhaps David Gold could send out an appropriate tweet to set the ball rolling. If fake news in the political arena is a recent and growing phenomenon, fake transfer news has been with us ever since the introduction of the window system. Media outlets have recognised that the recycling of stories, subsequent denials and supporter outrage create a steady flood of click bait traffic to their sites and enhance advertising revenues. Notwithstanding that the majority of transfer stories are pure fabrication, aspiration or hallucination, the window at West Ham tends to follow a fairly predictable pattern of failing to plan and deliver until last minute panic sets in. The only good piece of incoming January business that immediately springs to mind is Dean Ashton. With a window that started with the premise that it was more players the club needed, rather than fewer, West Ham have already seen Diafra Sakho depart and (if reports are to be believed) Andre Ayew could soon be following him out of the door. It was clear from Moyes preference to play Michail Antonio or Marko Arnautovic in the striker role that he didn’t really fancy any of the supposed forwards on the books. None of them are really suitable or equipped to play in a style that the majority of also-ran Premier League (including the Hammers) teams now set up for with pressing and rapid counter attack the order of the day. The lone striker needs to fast, strong, athletic and mobile. Arguably Sakho was the closest but he unfortunately lacked that final attribute of sanity. With less than forty-eight hours remaining for reinforcements and cover to be recruited the names resonating with greatest frequency are Russian captain Fedor Smolov or Graziano Pellè up front and Morgan Schneiderlin, Tom Cairney or Leander Dendoncker in midfield. I will admit to knowing nothing about Smolov other than his scoring stats look great at first sight. Pellè, on the other hand, would be a panic acquisition pure and simply; this year’s Jose Fonte. Unless I am remembering wrongly he is just another lumbering immobile lump who couldn’t even terrorise vertically challenged Chinese defences. I was always a big fan of Schneiderlin at Southampton but he is another Saints player who has not travelled well and who now appears to have gone well off the boil. Maybe he is up for another challenge. Cairney and Dendoncker look to be decent signings but one feels that the price may be too high for a club who have short arms and deep pockets when it comes to scraping together transfer funds – a consequence in part to the stupid amounts the club wastes on wages. Will West Ham Be Up For T’Cup at Wigan? Can David Moyes pull off a delicate balancing act by keeping the plates spinning in both cup and league competitions? Or will the Hammers obvious priorities see them crash out at Wigan? In more straightforward times a cup weekend was an exciting interlude to the muddy slog of everyday league action, a little like a mini-break weekend to somewhere more exotic. With the fourth round ties reducing the field to sixteen teams, anticipation and dreams of a day out at Wembley would start to creep into supporter’s minds. A draw against a team from two leagues lower would, despite the Hammer’s penchant for being giant-killer victims, generate images of claret ribbons in the merry month of May. The modern reality, however, is that even at this relatively advanced stage of the competition the matches for the majority of Premier League clubs (players and managers) are a mere sideshow. West Ham, like many others, treat the FA Cup as a nice to have and as a far lower priority than collecting the points that will help maintain Premier League status. Even in the media the Fourth Round very much plays second fiddle to the last days of the transfer window, with the games viewed as an unnecessary interruption to the daily speculation as to who will be the next £50 million import arriving in Manchester. It is a curious coincidence that today’s opponents are the only team ever to have won the FA Cup and been relegated from the Premier League in the same season. Since that day in May 2013 Wigan have experienced two relegation’s and one promotion and now find themselves on the verge of another as strong favourites for a return to the Championship. Whether their fans would have traded the Wembley win for survival, as suggested by David Moyes, is debatable (and perhaps expectations are different at Wigan in any case) but as someone who has had the good fortune to see West Ham in three FA Cup Finals the occasion is certainly among the highlights of a supporter’s life. The Latics are having an impressive season at the summit of League 1, having lost just three times with a record of most goals scored and least conceded. In the cup they have already comfortably seen off Premier League Bournemouth (a task that was beyond West Ham) in a replayed game at the DW Stadium earlier this month. West Ham struggled to elbow past Wigan’s League 1 colleagues, Shrewsbury Town, in the previous round and a growing injury list, which has deprived Moyes of eight players including his entire creative contingent, doesn’t point to an easy afternoon in the north-west. West Ham’s manager may acknowledge the importance of the cup to fans in public but in private it is sure that his attention will be focused on the midweek game with Palace, his own performance being tied to league stability rather than cup heroics. There should be a further opportunity for some of the younger players to show what they are made of this afternoon (including the likes of Josh Cullen, Reece Burke and Toni Martinez) but it is up to those senior players still available to demonstrate that they really are Premier League class. If West Ham are to get a positive result (by which I mean victory as another replay would not really be welcome) then we need performances from players such as Mark Noble, Cheikhou Kouyate, Javier Hernandez and Andre Ayew. It would be great to get over this fourth round hurdle in the hope that league status and injuries will be more settled by the time that the next round comes around and it is only three games to the final. Unfortunately my sense is that we don’t have the quality or resolve left in the squad to see off a buoyant Wigan side. Strangely, I do not get the sense that the Latics are in anyway underdogs today. Hopefully I am wrong but I am not at all confident. Today’s referee is new to West Ham and goes by the name of Chris Kavanagh from Lancashire, suspiciously near Wigan! Can West Ham pick up three points without the assistance of the Video Assistant Referee? It doesn’t seem like long ago that we last faced Bournemouth. I guess that is because it wasn’t that long ago. We faced every other team in the Premier League before we met them, but just a few weeks later here we go again. At least we are spared a third meeting in a month thanks to the fact that Wigan beat them comfortably in the FA Cup third round on Wednesday night, which means that we face a trip to the north-west in round four. The video assistant refereeing system (VAR) has been much in the news recently after it is beginning to be trialled in some FA Cup matches. 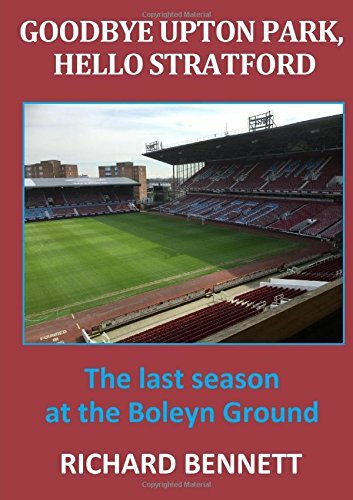 When I wrote my book, Goodbye Upton Park, Hello Stratford a couple of years ago I devoted some of the pages within it to championing the VAR as so many decisions seemed to be going against us in that final season at our old ground. If the system had been in operation we may have even finished high enough to qualify for the Champions League, but seeing our performances in the lesser European competition then perhaps it was a good thing! But no, I am strongly in favour of a system that increases the chances of eliminating errors by officials. The system isn’t perfect and won’t rectify all their mistakes, but it will help. It seems to me in this initial trial period that those people like myself who are in favour reckon it is doing a good job so far, whereas those not in favour do not. Similarly those managers who are benefiting from the decisions are in favour, and those on the receiving end are not. Our own Karren Brady came out in her Sun column most definitely against. It would be interesting to know her reaction if we were relegated by one point this season and then think back to the end of our visit to Bournemouth. You will remember that we had three points wrapped up in the fourth minute of added on time when Bournemouth scored an offside goal that was also handball. The VAR system would have ruled out the goal (as would any sensible referee who would have done the same after the assistant raised his flag) but inexplicably the goal stood and we are now two points worse off than we would have been. That means we go into this game five points clear of the drop zone on 25 points, and just one ahead of today’s opponents. If there was any justice then we would be on 27 and they would be on 23. Of course those in opposition to the VAR cite as one of their reasons that poor decisions even themselves out over the course of a season. Of course they do not, but in today’s game I am looking forward to the offside goal scored with an arm by the team in claret and blue that is allowed to stand.